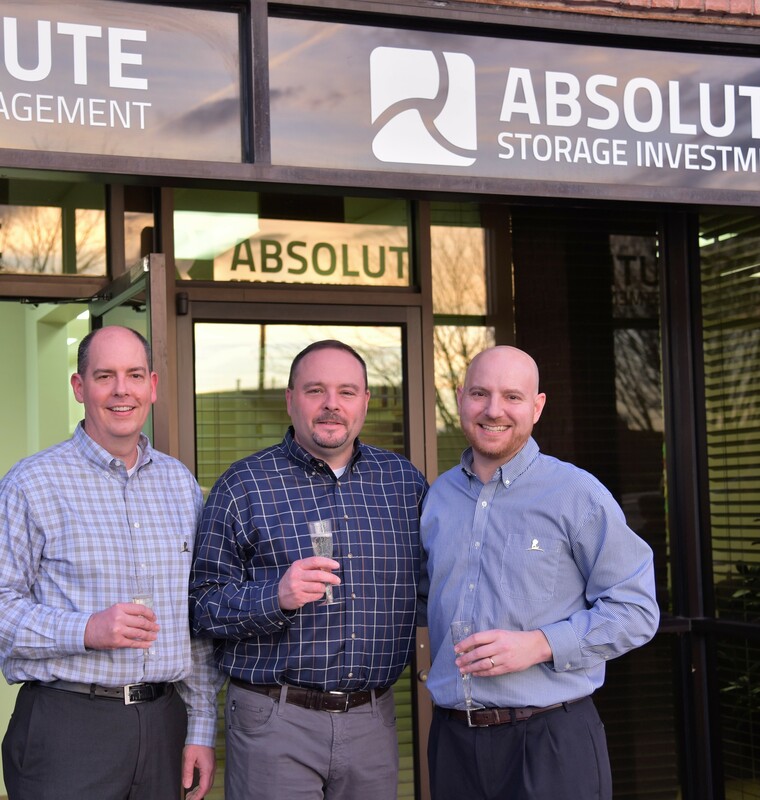 Memphis, TN, March 02, 2019 --(PR.com)-- Absolute Storage Management, Inc. (ASM), announced today the launch of a new corporate brand identity. The new logo presents the company as modern and evolving, reflecting both continued growth and the ability to maintain high impact and influence in the fast-paced storage industry. A slight update on the colors and rounded corners are small changes that maintain the previous logo's identity, rather than completely changing its logo and therein, the company. The new identity builds upon ASM's specific knowledge and proven processes that allow customers to benefit from the over eight decades of combined experience in the industry. ASM hosted a launch party on Monday February 25, 2019 to celebrate this new era for the company. Local vendors, team members and other guests showed up to celebrate with Absolute Storage Management. Founding partners enjoy their new company logo.